Maybe you’ve noticed, but this winter sucked. A lot. 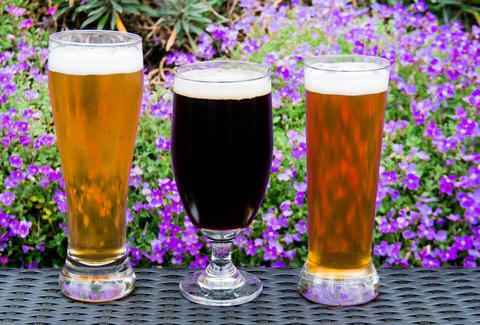 But it’s finally time to kiss those shrinking piles of snow goodbye and start busting out those shorts prematurely, because it’s springtime, and we’ve got just the beers to go with the season. Two things before we get started: 1) we didn’t limit ourselves to spring seasonals (there’s other good stuff available! ), and 2) we selected bottles that are widely available enough to be found. They’ll be permanently stored in our fridge for the next few months, ready to be popped at a moment’s notice. So put away that parka with the weird fake fur on it and let’s drink some beer! What’s left to say about a beer that’s already been dubbed best beer in the world by some critics? Even if other peoples’ opinions aren’t your thing, if you’re a barrel-aged beer appreciator, there is very little to dislike here. Vanilla, espresso, chocolate, and, duh, bourbon, pack in richly deep flavors for this super full-bodied bad boy. Feel free to tuck it away for one of those colder spring days... next spring, since this baby ages beautifully. When you’re the son of Robert Plant (yes, that Robert Plant), there are plenty of career options out there for you. Luckily for those of us who enjoy beer, Logan Plant decided to get into the brewing game, and Black Betty is just one of the gifts he has bestowed upon us. It’s spot-on for a black IPA: medium-bodied with dark, roasty malts and a hop finish that’s like the lemon zest at the end of an espresso. After trying it, we’re pretty sure Dad approves. It’s hard to do better than Ayinger when you’re talking about maibock from the Old World. Slight dark-fruit notes behind the beer’s biscuity malt profile make one of the only problems with opening one that opening a second becomes almost too easy. 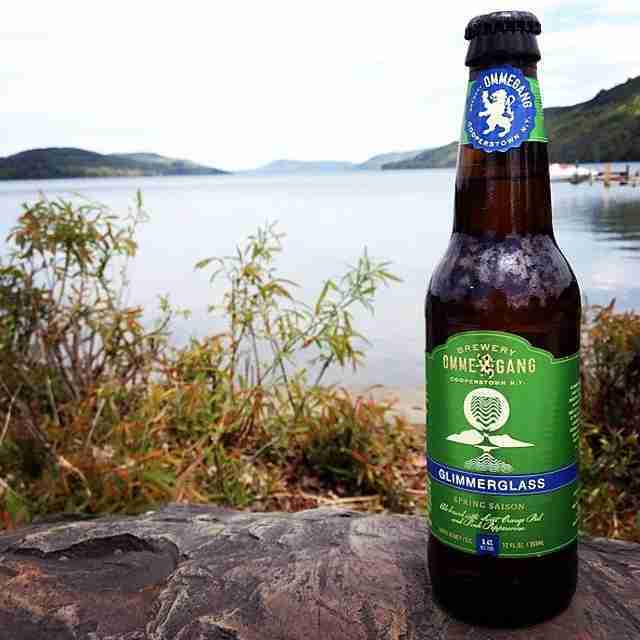 Where would we be without this Ommegang seasonal? Seeing the first shipment of Glimmerglass hit the fridge is like stepping outside into the first T-shirt weather day of the season (and if you live someplace where T-shirt weather has been upon you for months already, then I hate you). It’s peppery and floral with hints of banana and lime zest, beautiful on draft and in the bottle, and the kind of beer you’re happy to bring to a friend who may not even necessarily love beer because it’s that palatable. Every expert out there recommends pairing this with Thai or Vietnamese food, and they’re absolutely right. At least for those of us in the Northeast, spring can mean something completely different year to year. Crooked Stave, in apparent solidarity with this fact of nature, changes up their recipe for this witbier every year, using only fresh fruit immediately available to them. Minneola tangelo takes the limelight (orangelight?) this year with a beautifully complex, sour seasonal that seems to change with each sip. Maibock is a rare case of a German style that many Americans know without realizing it (usually in the form of a bottle of Rogue Dead Guy). Other American brewers have begun to take note of the style’s deceptively-drinkable-with-a-higher-ABV abilities, and Maibock Hurts Like Helles is a perfect, punny example of that. Deliciously malt-forward and medium-bodied with a slight hint of caramel and dark fruit, it finishes dry and faintly hoppy, which balances out the experience and makes the beer a definite standout in the genre. 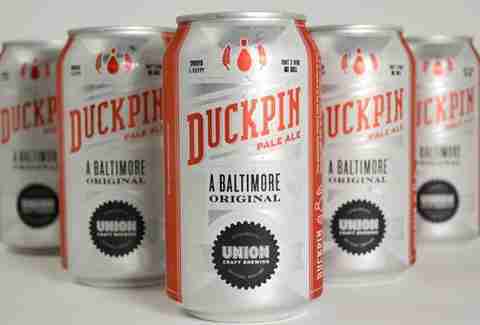 I don’t know how else to put this: I’ve been obsessed with Union’s American pale ale lately. So much so that I’ve been begging anyone I know who is heading down to Baltimore to bring me back as many cans as they can fit in their luggage. My addiction stems from its ridiculously drinkable nature -- it’s not so overwhelmingly hoppy that your taste buds gasp for air after the first one, but it’s also not lean to the point of being a slim, watery brew (I credit this in part to their use of a mixture of Pacific Northwestern and New Zealand hops). Their cans make for some great springtime lazy Sunday drinking, so pick some up before I buy up the entire stock on the Eastern Seaboard. I’ve come to love the Otter Creek guys. It’s not that I didn’t like them before: It’s just that they’ve grown so much in the past two years, upping their portfolio by developing delicious seasonals like this imperial pilsner. Citra Mantra has such a balanced citrusy hop bite and beautiful aromatics (thanks in no small part to the Citra hops they add right to the fermenter) that you can’t help but love what these guys are doing. Coronado is no stranger to brewing all types of beer. Seriously: they’ve got well over 100 recipes under their belt. Being in SoCal, it should come as no surprise that their spring seasonal finds itself as a superlative outsider double IPA in a sea of saisons. When it’s a cold night in early April and you want something full-bodied and resinous, this rich, fruity hop-bomb is your beer. As a style, witbiers have an enviable position of being arguably appropriate any time of year, but not all are created equally for that purpose. 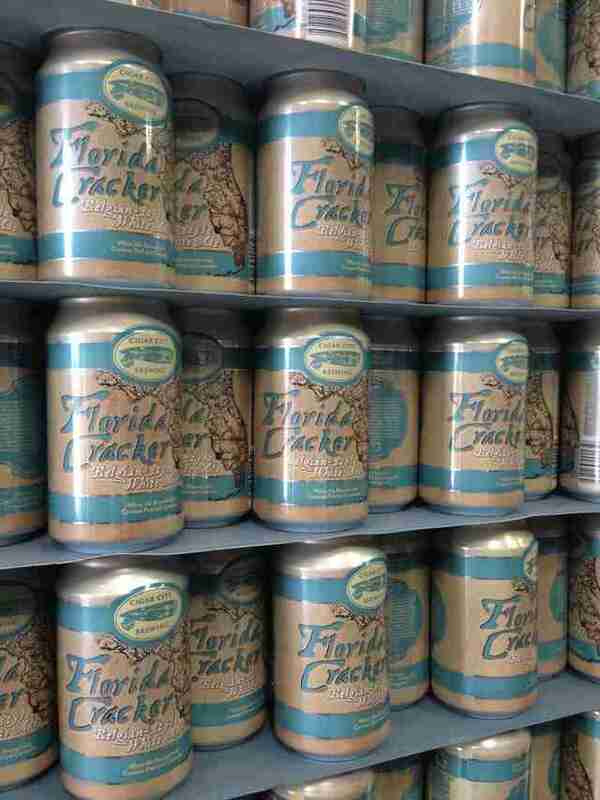 Florida Cracker (which is named after early Scottish-Irish Florida settlers who raised cattle) has “first early beach day beer” written all over it. It’s gorgeously citrusy with traditional ingredients like unmalted wheat, orange peel, and coriander, all with a spicy finish from the French saison yeast used in brewing it. Their canned format makes it as if they’re practically begging you to take them on a picnic. You’ve probably heard the history by now that doppelbock was invented by monks who were looking for something to tide them over during their Lenten fasts. Luckily for everyone, Consecrator is good even for someone who’s looking to replace only part of a meal with a solid beer. Plummy molasses flavors make up this full-bodied beer that, in a nod towards historic understanding, is released on Mardi Gras. If you’re feeling at all guilty about not making concessions during Lent (or, you know, you just need an excuse to replace food with beer for over a month), this might be your answer. This probably has something to do with the fact that I’m writing this in Spain, where I just got my hands on a bottle of this to drink for the first time this season, but situational advantages be damned: this beer is awesome! Yes, it is one of those crazy, old-school recipes that only producers as skilled as Fantôme could pull off, with herbaceous, smoky, and sometimes downright medicinal flavors, but it is a proper Old World experience that everyone should enjoy at least once. Your beer geek friends will appreciate you showing up to a roof-deck party with a bottle of this to share. If you have yet to experience a Southern Hemisphere-highlighting beer yet, this may be the easiest option to get your hands on, and it will be awesome. Unlike their Northern cousins, Southern Hemisphere hops are more citrusy and vibrant (think more lime zest and less pine needle). 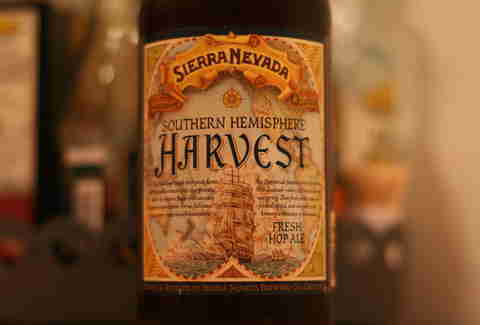 This makes for a deliciously balanced beer when utilized properly, which Sierra Nevada has done with this release, made with hops from Down Under that were harvested, dried, transported, and brewed within a week. As always with hop-centric beers, time is of the essence: the fresher you can get this bottle and drink it, the better. If you’re on the West Coast or any place lucky enough to have access to Logsdon, there’s a good chance you’ve tried Seizoen Bretta. But have you ever tried Seizeon Bretta that’s been aged in oak and had a pound and a half of fresh peaches per gallon added to it? The familiar horse blanket/forest floor funky flavors from the brett give way to juicy goodness, culminating with a refreshingly dry finish. If there’s a more seasonally appropriate way to welcome spring, I’m hard-pressed to think of one. It makes a lot of sense to crave rich, dark beers in the colder months, but so many people start pushing perfectly good porters aside as soon as it gets warm. If there were ever a porter that could get you ready for spring, this is it: medium-bodied and made with real coconut and almond, which come through very much upfront but not overpoweringly. 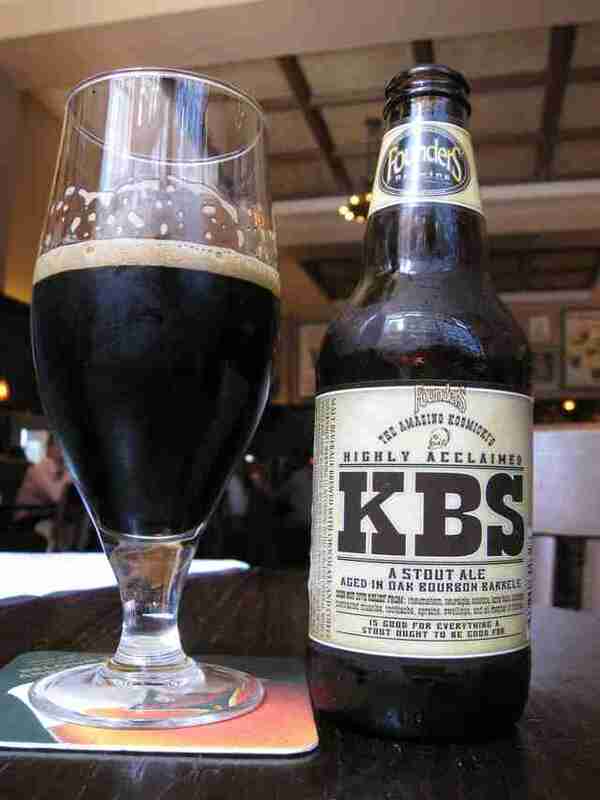 It’s a wildly divisive beer, but those who love it fall hard and fast for it. It would also sidle up nicely next to a seasonally appropriate roast lamb or slice of carrot cake. Zach Mack is Thrillist's contributing beer writer, the owner of Alphabet City Beer Co. in NYC, and absolutely nothing else. Follow him: @zmack.